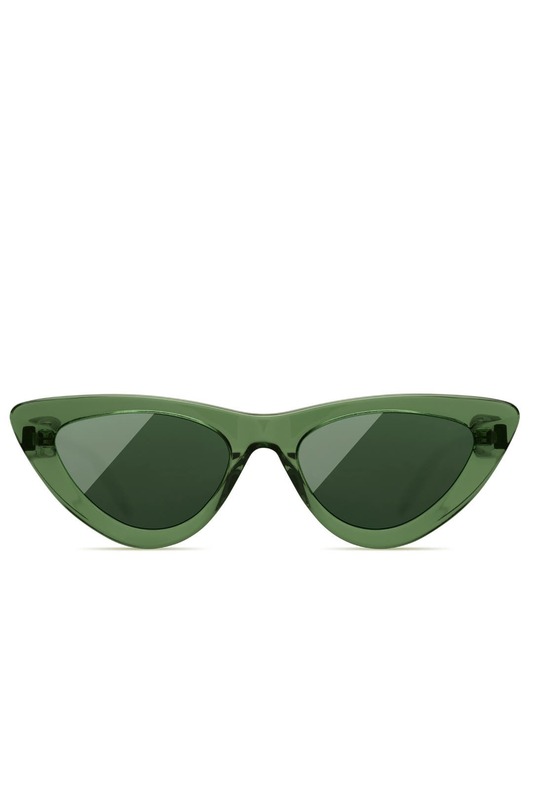 Green acetate narrow cat eye sunglasses with tonal mirror lenses. 100% UV protection. 51mm / 18mm / 145mm.